Jim Galloway (born James Braidie Galloway July 28, 1936 in Kilwinning, Scotland) died peacefully at home on December 30, 2014 surrounded by loved ones. An internationally renowned jazz musician, one of the few specializing on the soprano sax (along with alto, tenor, baritone and occasional clarinet), Jim lived a full life doing what he loved most. Listening to post-war American Armed Forces Radio, the young man discovered jazz music, and soon was playing clarinet and alto saxophone locally. As a student at the famous Glasgow School of the Arts (1954-1958) Jim added to his reputation as a leading Scottish jazzman. Jim came to Canada in 1964, first teaching high school art and working as a designer, soon becoming a full time musician. He quickly became part of the Toronto jazz scene, one of the few players dedicating himself to jazz only, not part of the busy studio-musician scene. He joined the traditionally-oriented Metro Stompers, soon taking over its leadership. Jim's interest was wide (an early group played all Thelonious Monk music) and it's true he was centred in the mainstream. Mark Miller, Toronto author of Boogie, Pete and the Senator, a book of Canadian jazz profiles, described Jim's playing style: "His lines are all melody - melody, which in turn sings, purrs, smiles, lingers and arches into arabesques without obscuring the simplicity of Jim's fundamental design. There is a pure, timeless quality to the playing, something that exists outside any specific point of reference stylistically; as a result, it is remarkably adaptable - as indeed it must be given the breadth of Galloway's associations." Those associations were valuable as the founding Artistic Director of the Toronto Jazz Festival, a post he held from 1986 through 2009. It allowed him to bring to Toronto City Hall's Nathan Phillips Square and concert halls and clubs, the best artists and biggest names in jazz for a concentrated ten days of live music. But mostly, Galloway loved to play music, and he performed in all the Toronto jazz rooms. While definitely not much of a businessman – it was all about the music to Jim - he helped start up many venues, including Café des Copains and the Montreal Bistro, often working with his long time friend and associate John Norris. Norris founded CODA, Canada's Jazz Magazine and was an early contact when Jim came to Toronto. Norris was also the producer of Sackville Records for which Jim made many albums. In its first year Galloway booked (and named) Bourbon Street, Doug Cole's Queen St. W. club, bringing in many international jazz stars. Galloway shared the stage with many of them, including Jay McShann, Wild Bill Davison, Buck Clayton, Vic Dickenson and Buddy Tate. Tate asked Jim to tour Europe with him, thus laying the foundations of his international career. Over the next decades his sunny melodic style was heard in concerts and clubs across Canada, the U.S. and Europe. Jim appeared at jazz events and festivals in Ascona, Bern, Baden, Geneva, Budapest, Edinburgh, London, Norwich, Montreux, Nice, Los Angeles, New Orleans and Sacramento. By the mid-1990s his travel schedule included Australia, New Zealand and South Africa. In 1985 at Edinburgh with the Scottish National Orchestra he premiered Hot and Suite, a fantasy for symphony orchestra and jazz ensemble co-written with his then-wife, the bassist Rosemary Galloway. CJRT-FM jazz broadcaster Ted O'Reilly prodded Jim to finally put together something he had talked about for years, a repertory big band. With a 1978 concert date firmly set, Jim and arranger Martin Loomer formed the 17 piece Wee Big Band, which authentically played the great music of the big band era, with a special focus on Duke Ellington's orchestra. The Wee Big Band made its debut with a live radio broadcast from the Ontario Science Centre. Radio was always important to Galloway, right from his youthful AFRS listening. He was the musical director and host of CKFM's Toronto Alive!, Saturday afternoon broadcasts from the Sheraton Hotel. 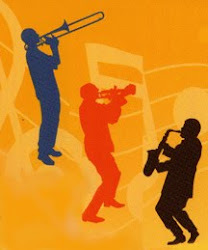 From 1981-1987, the show had as guests top artists like Ralph Sutton, Al Cohn, Doc Cheatham and Zoot Sims, who were appearing at the city's clubs. One of Jim's imaginative pairings on that show put the earthy blues-rooted pianist Sammy Price alongside the highly-individual altoist Lee Konitz. The subject of a half-hour CBC Television profile about his life and music, Jim also wrote and hosted a CBC Radio network series, "Travelin' Light", a journey through the story of jazz; and presented his wide tastes as the host of two 13-part series "Journeys in Jazz" on JAZZ-FM. 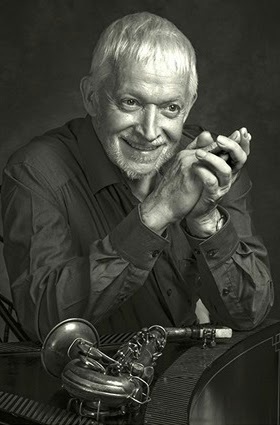 Jim Galloway ventured into theatre as musical director for the 1980 stage adaptation of Michael Ondaatje's novel "Coming Through Slaughter", a poetic treatment of the life of the legendary jazz cornetist Buddy Bolden. Jim loved the classics and the time-tested, whether it was in music, films, books or cars – at one time his two cars totalled over 45 years of age, and were running just fine. His favourite soprano sax was made in the 1920s. He could recall each frame of Buster Keaton's films, and quote Groucho Marx and Robbie Burns equally. A blithe spirit, Jim had a dry pun-filled wit, but for a gentle man (few could avoid confrontation better!) he could deliver deep cuts with a smile. He was a fine writer, as his long running monthly columns for The WholeNote magazine show. His presence was often announced with a wisp of a clove cigarette, and he knew and enjoyed single malt whiskies as did few others. Jim leaves behind his beloved wife Anne, his brother Fred (Margaret), his many friends and the countless musicians he has performed and collaborated with over his 60 year musical career. Jim's rich legacy will continue to live on through his many recordings. A private memorial has taken place, and a celebration of his life will be held at a later date. Donations can be made to the jazz-supporting Ken Page Memorial Trust, Toronto Western Hospital or the Canadian Liver Foundation. Galloway for nearly five decades. Here's an easy way to donate, just one click away! Ken Page Memorial Trust. Powered by Blogger.